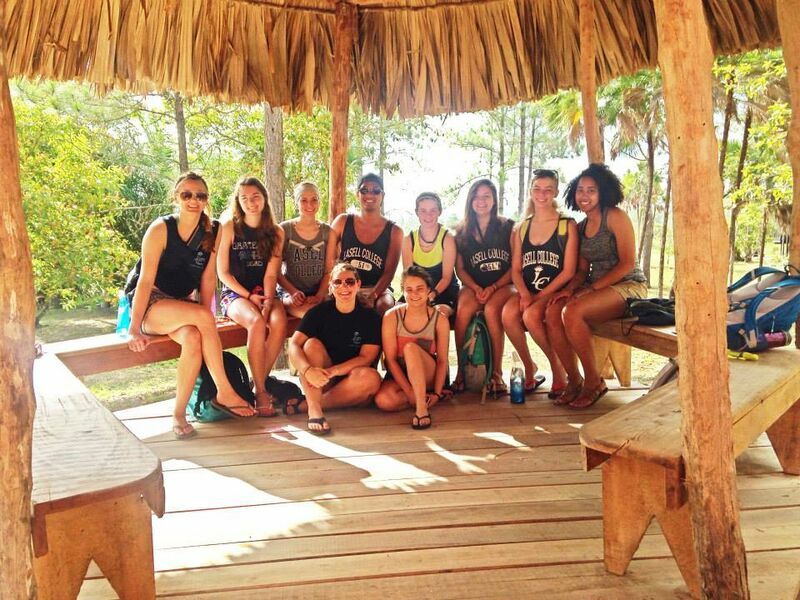 Students pose together after doing service in Lasell’s last June to Belize. Recently, Shoulder-to-Shoulder’s annual Belize trip was replaced with a trip to Tanzania. The new trip will center upon English language instruction for grades one through seven, as well as conducting girl’s self-esteem workshops. A group of Lasell students have yet to be chosen, but will be led by Reverend Tom Sullivan, Director of the Center for Spiritual Life. The group will leave on May 18, 2016, and is estimated to return on either June 5 or 6. The replacement of the trip to Belize brought mixed emotions for students and professors who had previously traveled to the country. Much of the Tanzanian school systems and businesses use English to communicate. “They have a huge disadvantage by not having a better understanding of the language,” said Sullivan, who added that teaching the African children English is the primary goal of the trip. Choosing Tanzania while the Uganda trip had just been cancelled due to the country’s homosexuality laws bothered Morgan Nash, Senior Class President, who participated in the Uganda trip in the spring of 2014. “It’s a little confusing why we can go there [Tanzania], but not to Uganda where we already have established connections with the schools and children,” said Nash. According to Ostrow, there are anti-homosexual laws in Tanzania and many countries, including Belize, but the Tanzanian law is far less severe than in Uganda. “We consider it safe… students will undergo orientation where they will learn about respectful behavior in other cultures gener- ally, and in Tanzania specifically” said Ostrow.